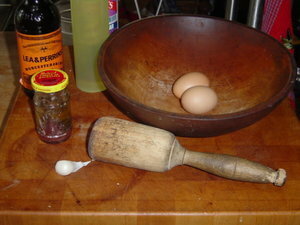 Here's a picture of all the ingredients. All the ingredients are subject to personal taste. I do NOT like a dressing that's so overpowering that it flavors anything else you're eating. 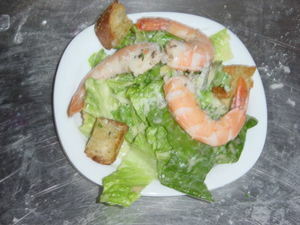 So I limit my caesar to one garlic clove, which you mash in the bowl. 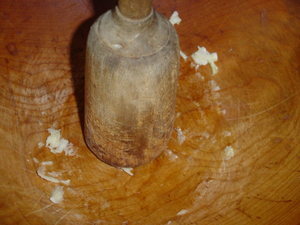 The mashing realy releases the garlic flavor. 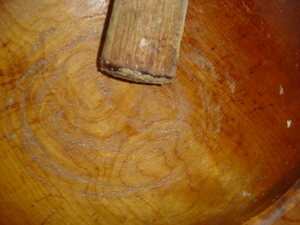 I let it sit a few minutes in the bowl, and then I lightly scrape out the pulp. At first, you may not think there is much, but it does collect. 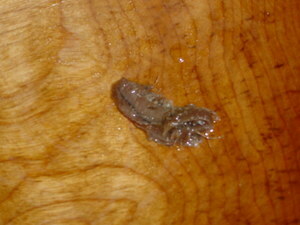 Next, I add the anchovies... Again, this is an ingredient that some people love, and some hate. 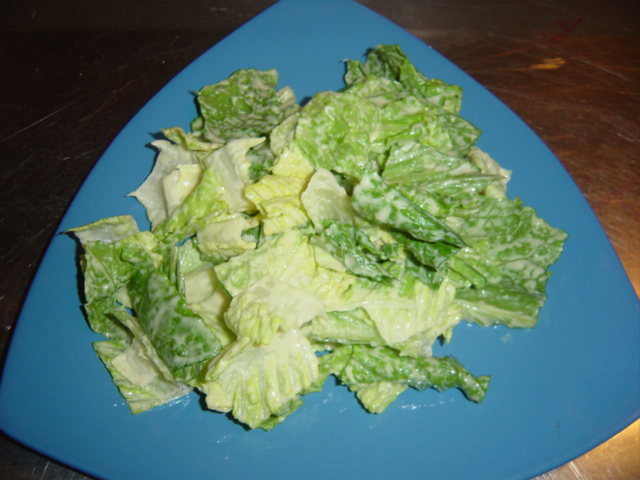 I'm not an anchovy pizza person, but they're a must in a caesar salad. 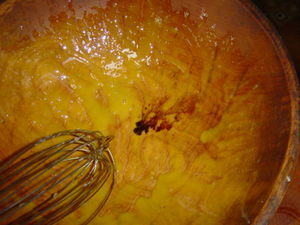 Next the egg yolk. 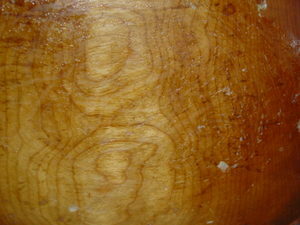 You can coddle the egg by placing it in boiling water for one minute before cracking it. 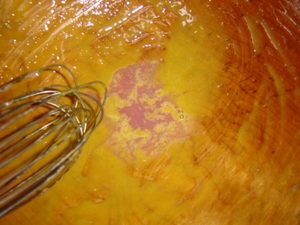 Raw or coddled, separate the white, and use only the yolk. 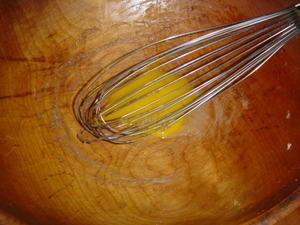 Whisk the egg yolk around the bowl. 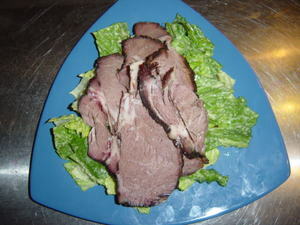 Add a few drops of Worcestershire Sauce, once again, to taste. 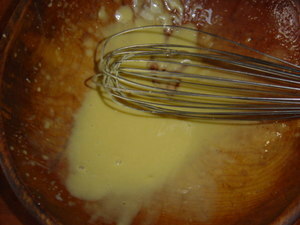 Whisk that in, and then add the vinegar. This also gets whisked in. 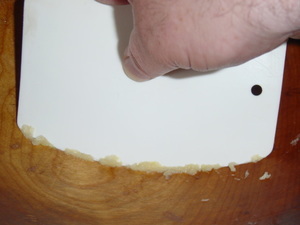 You add the oil, slowly, until it reaches the right consistency. 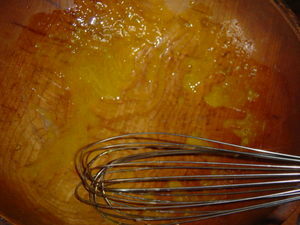 I use a squeeze bottle....whisking as the stream of oil is added. 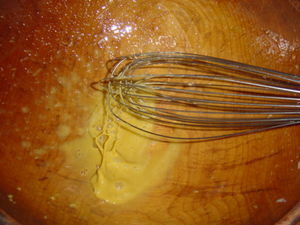 And you keep whisking. Notice the change in color. 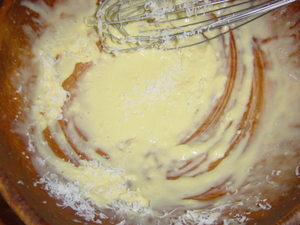 And whisking, adding oil all along, until it starts to thicken nicely. 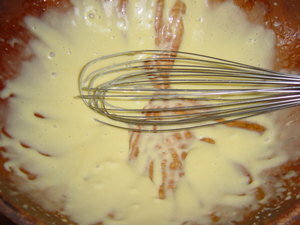 Then add the parmesan cheese, and whisk in. 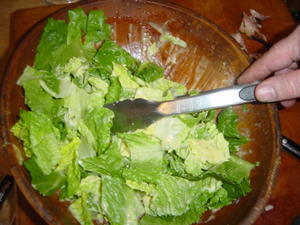 Add the lettuce and toss.